The Northeast Kingdom of Vermont epitomizes the most beloved elements of Vermont — scenic mountain views and rolling hills, beautiful lakes, small friendly unassuming towns and farms all over the place. Although I have only been a few times, the memories remain and the ambition to return soon to this wonderful region of New England are about as high as the mountains there. Plus, on a personal level, my brother-in-law and family live in the area and it’s always great to see them! 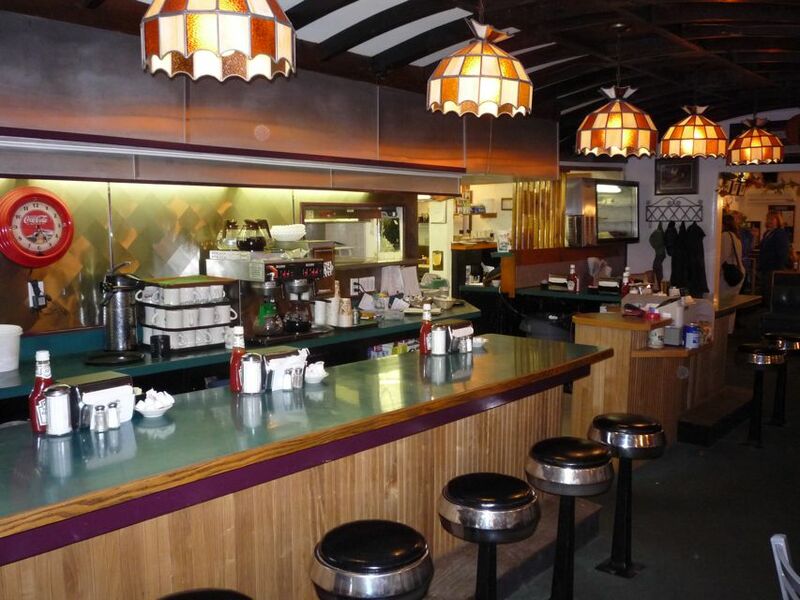 When it comes to dining in the Northeast Kingdom, you’ll find many roadside and diner-type places that serve hearty meals at cheap prices — perfect as affordable dining options to complement the fall foliage season, winter skiing at Burke Mountain, spring maple sugaring or the abundant swimming and hiking opportunities in the summer. Don’t be fooled by the gas-station- meets-convenience-store facade as Kerrigan’s Convenience proves that sometimes the greatest things comes from the most unlikely places. If you are looking for a homemade meal in the Burke area –that has sparse dining options — this is your place. 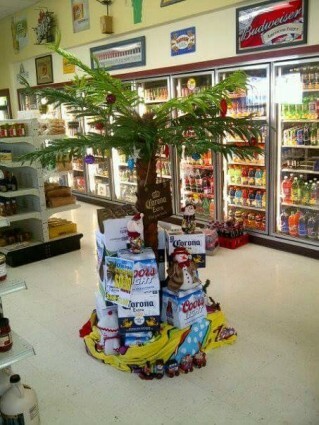 Kerrigan’s goes way beyond just being a generic stop for gas, snacks and drinks. Every once in a while, I come into a journalistic conflict when writing about a business in which I know the owners quite well. For the record, my brother and sister-in-law own Kerrigan’s Convenience. But this connection also allows me to write objectively about a business like Kerrigan’s because I know owners Judi and Dave Kerrigan have worked so hard to make the store successful. 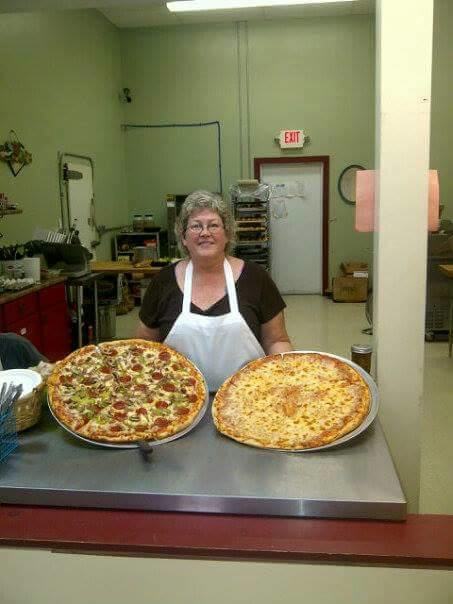 What creates the difference here is that Dave and Judi possess an absolute passion and dedication to running a small business and know the art and science to successfully creating home-style cooking. It’s remarkable what Judi and Dave have accomplished in a relatively short amount of time as a small business, having worked in other professions through the years. Dave continues to work as an emergency medical technician in the area. When we visited Dave and Judi’s first store about a few years ago (they moved their business into a larger facility virtually around the corner in 2012), I was absolutely blown away by the delicious pulled pork sandwich — many of the highly regarded Boston area BBQ joints, as examples, pale in comparison with their versions. The pork is baked six hours daily with a special rub and then hand-pulled and topped with a homemade barbecue sauce. Other popular items include an amazing steak and cheese sandwich with shaved black angus steak, homemade pizza, donuts, muffins and cinnamon rolls. Kerrigan’s also features “specials” that have included curry soup, chicken and biscuits, and Mexican style stuffed peppers — virtually everything here is made from scratch. They also sell Gifford’s Ice Cream, New England Coffee, wine and beer. 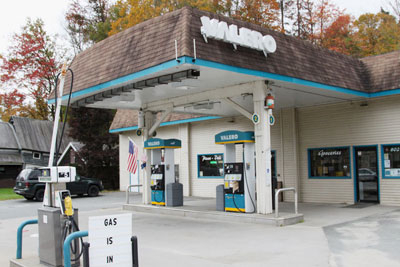 Kerrigan’s Convenience is located at 4015 US Rte 5, West Burke, Vt. Tel. (802) 467-1375. 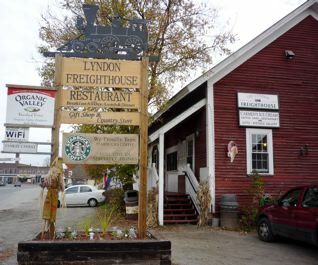 Tapping into organic and natural locally sourced foods, the Lyndon Freighthouse does a terrific job serving healthier versions of comfort foods without having the items taste like cardboard. It’s a welcoming place, too, located in a renovated 1878 freighthouse with a long farmer’s porch on the outside and a rustic Vermont feel on the inside. Sampling a Ben and Jerry’s Factory Tour in Waterbury, Vt.